the perfect gift for scrapbookers! 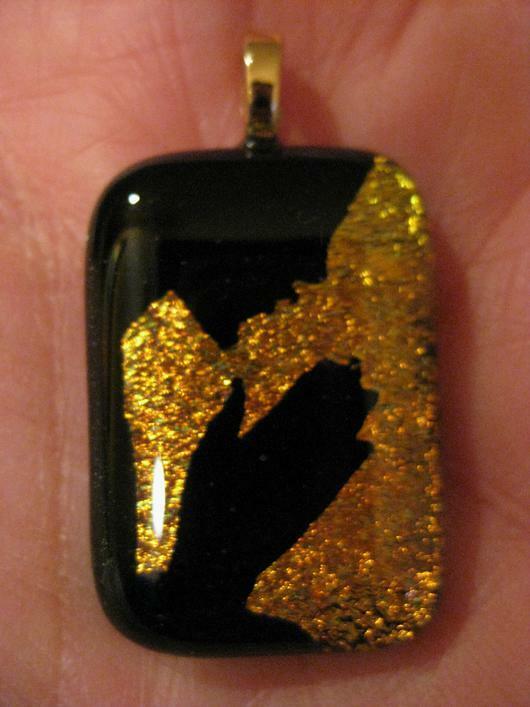 One of my favorite ways to make to jewelry is using Colorobbia liquid gold and platinum from Delphi, on fused glass. Along with using different rubber stamps, you can also use your scrapbooking machine or Cricut. I like to use Armour Etch Cream. 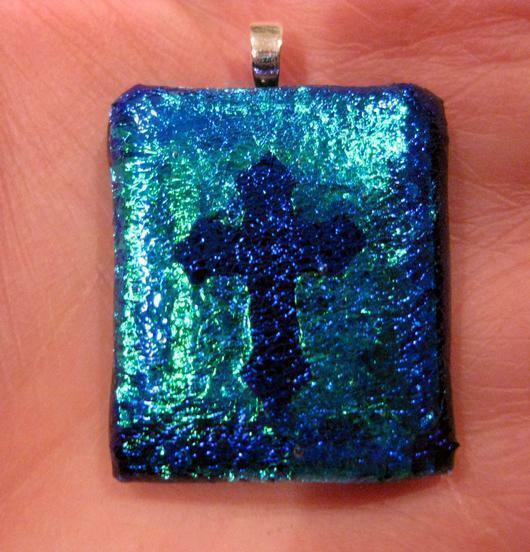 Once I decide what vinyl cutouts to make with my scrapbooking machine, I cut out my iridized or dichroic glass to fit my vinyl cut out. On a creative day I will use an exacto knife and cut them out by hand, like the praying hands. It doesn't take much Colorobbia liquid or acid at all, and you do not actually want too much, so it doesn't run when you peel away you vinyl. For the acid you would make sure the vinyl is down good, then wash it away completely. I like to leave the Colorobbia gold/platinum uncapped, and cap the acid etched pieces. 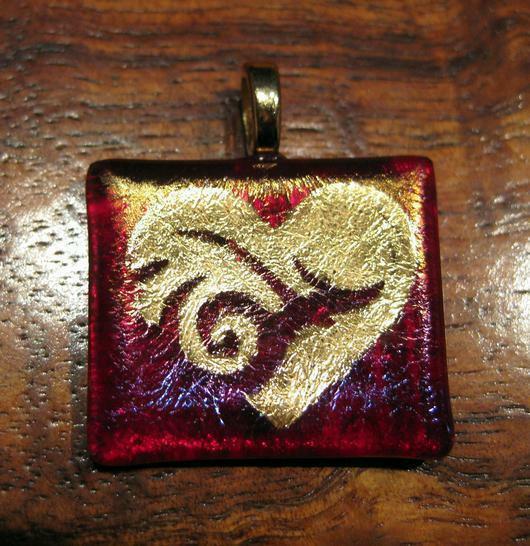 You can have a huge variety of shapes and sizes of images best used on your smooth dichroic glass, but if you smooth your vinyl down really good, you can also use it on a few of the slightly textured pieces that come in the Dichromagic Magic Box Sampler. 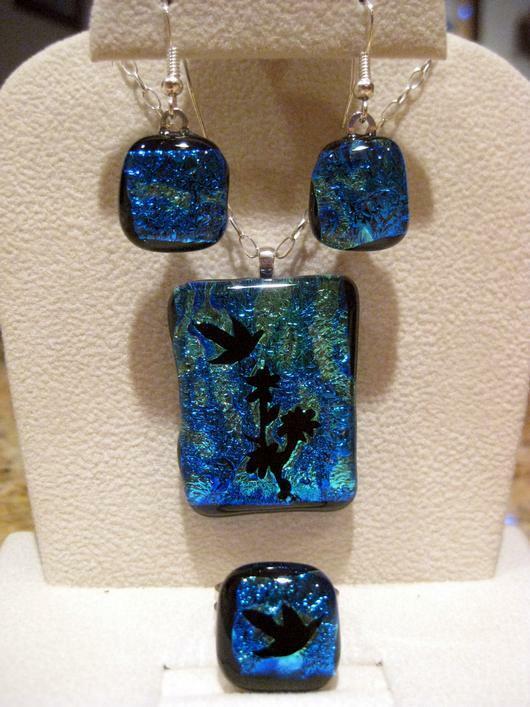 Here are a few of the pieces you can make. 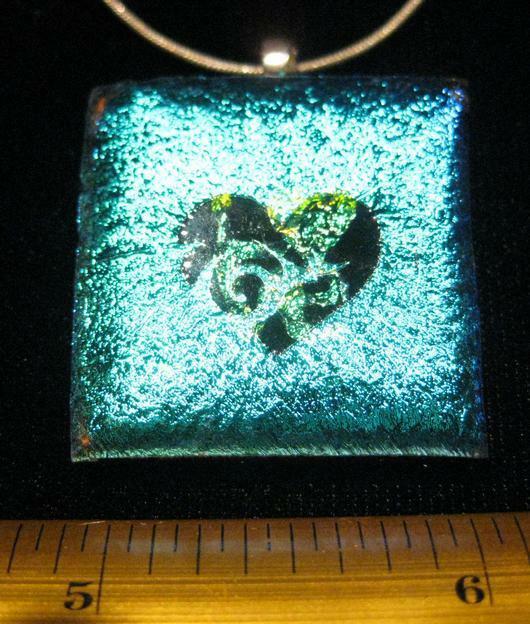 My favorites, are what I call the window pendants, where I have used this technique and capped the piece with another piece of transparent, clear backed, dichroic, acid etched glass in the shape of a heart.